We are very pleased that you are interested in our apartment. The apartment is beautiful and cozy. New and stylish renovation. It has 2 rooms and a kitchen with living room. A fully equipped kitchen. Access to free Internet. Comfortable places to sleep. 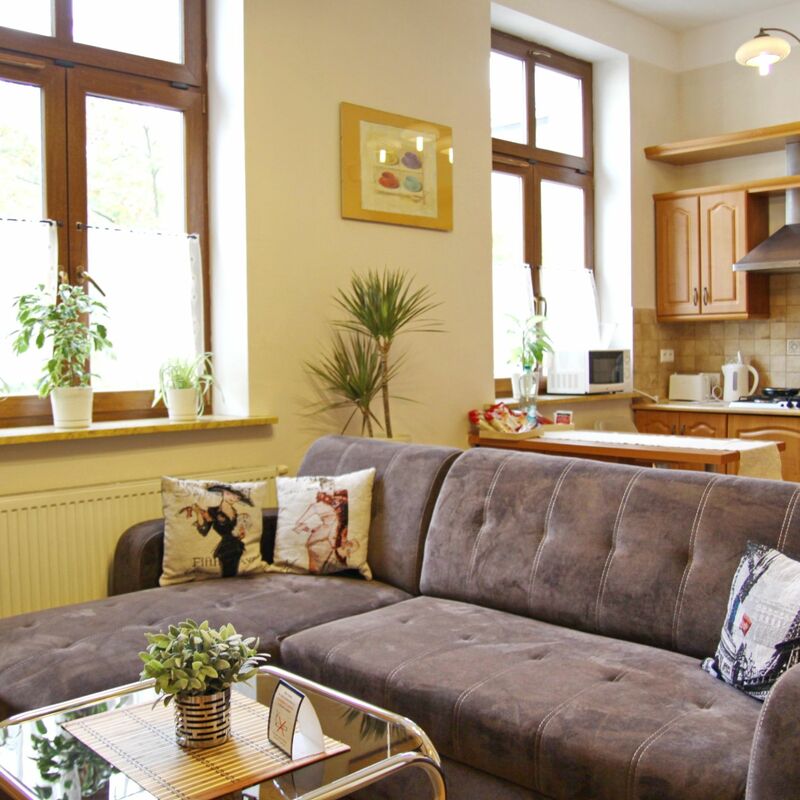 It also has a great location: 3 minutes to Kazimierz, 5 min to the Wawel castle, 5 minutes to the Main Market Square, 15 minutes to the Central bus and train station. You will be satisfied with accommodation in our apartments. Apartment in a modern design that maintains a high standard in General. Great for a romantic getaway, a business trip, families with children and for groups of tourists. 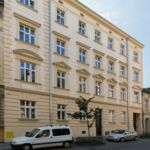 The apartment is fully equipped: bed linen, towels, wardrobes, all kitchen utensils, fridge, gas stove, microwave, hair dryer, Ironing Board, clothes dryer, wireless Internet. The apartment new Windows, so very warm in winter and quiet. • transfer from/to airport ( up to 4 people - 90 PLN, from 5 to 8 persons - 120 PLN). • we provide tours to Auschwitz, Wieliczka salt mine and other places to visit. Always can contact us and find out the necessary information regarding your stay in the apartment, transport etc. Check-in: from 14:00 | Check out: until 11:00. Private Parking in a closed area of the courtyard is the cost of 30 PLN/day. Public Parking is possible near the apartment building is free on weekends. On weekdays at hour 20:00 - 10:00 the Parking fee is 3 PLN/hour.